Bashir, who has been ruling the country for 30 years, is currently under house arrest in the presidential palace, said Defense Secretary Awad Ibn Oufs. 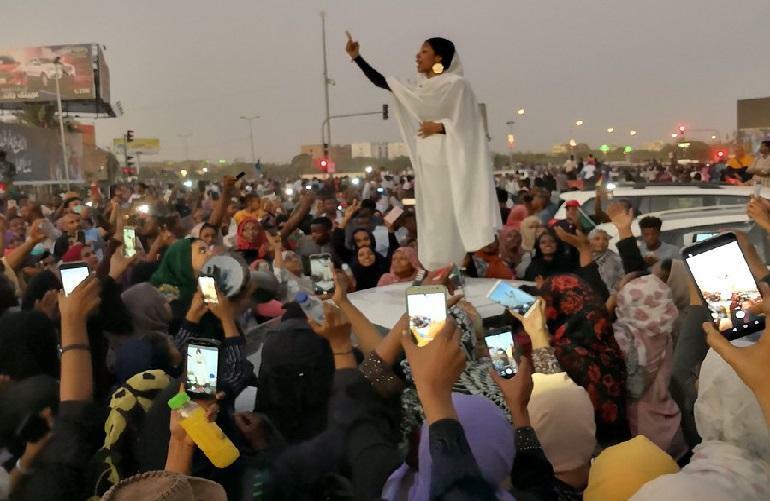 Tens of thousands of cheering Sudanese, including women and children, were seen en route to the army headquarters in the capital, waving the national flag, singing and applauding. These women were at the forefront of the problems that saw the end of Bashir’s term. According to the BBC, around 70% of protesters are women. From the calls for an end to corruption, unemployment, and intimidation of opponents, these women have also demanded the end of sexism that violates their rights. Women’s rights activists told Euronews that Sudanese women were often confronted with restrictive laws that dictate what they can wear and where they can go. About 15,000 women were sentenced to flogging in 2016, said non-governmental groups in Sudan. The protests in Sudan started last December as a result of rising prices for bread and fuel. The demonstrations spread rapidly and, inspired by the success of similar demonstrations in Algeria, protesters began to ask Al-Bashir to withdraw. Bashir, who is wanted by international prosecutors for alleged war crimes in the western region of Darfur, had refused to resign and said his opponents should seek power through the polls. Media reports show violent actions against demonstrators, but this has not deterred them from their actions. 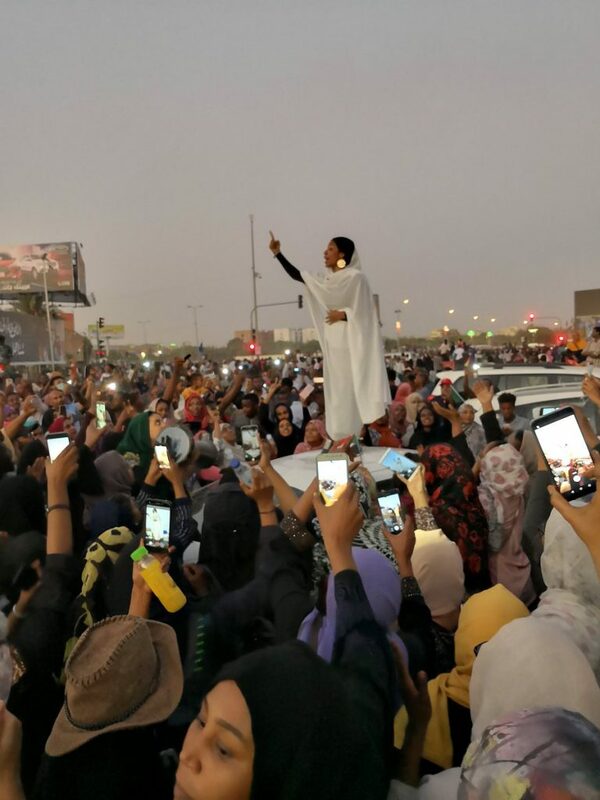 Women, who believe that the Bashir regime is synonymous with all forms of repression, played a central role in these demonstrations, often seen singing and clapping among crowds of men, often in a minority. One of these brave women was Alaa Salah. The 22-year-old architecture student went viral after a photo of her who was standing on a car and was shared with a raised arm on social media. The photo was taken on Monday evening in the center of Khartoum, amid tens of thousands of people busy on the roads in front of the heavily guarded complex with the military headquarters and other intelligence services. The photo of the woman in white with gold earrings suddenly became an icon of protest and a symbol of female leadership. “She was trying to give everyone hope and positive energy and she did it,” Lana Haroun, who took the picture told CNN.